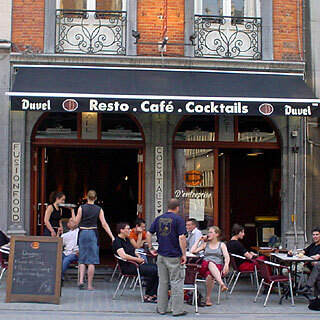 Leuven has a very high food-factor, with an outrageously high concentration of places to eat in a small city whose population is about 100 000. 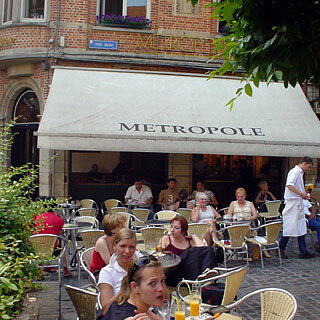 You can eat well just about everywhere, which is a Belgian thing, and for some reason that I haven't worked out, almost every cafe has spaghetti on the menu in the same way that a British pub always has crisps. 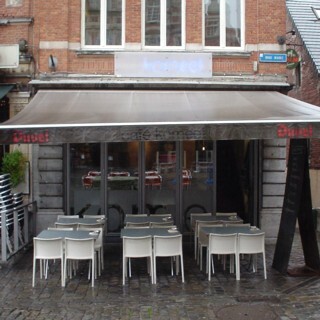 The strangest thing, though, is that the local bookshops don't seem to have any Leuven restaurant guides at all, in Flemish, French or English; still, there's always the web (Google search for Leuven restaurant reviews). These reviews were first written in the August 2003, and could well be out of date. 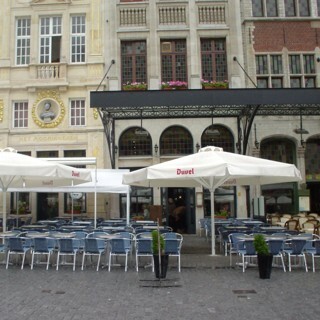 However, when we visited Leuven in December 2012, we discovered that the good places are exactly the same - it’s the bad places that come and go. at The Bebop is a pretty cool and accessible jazz café with a really good atmosphere and plenty of tables. 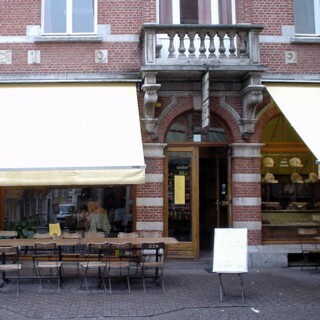 Not bad if you're shoppong on Bodgenotenlaan and need coffee. The rock-pop music selection is good for thirtysomethings, the decor isn't bad, and rest is fairly uninspiring. 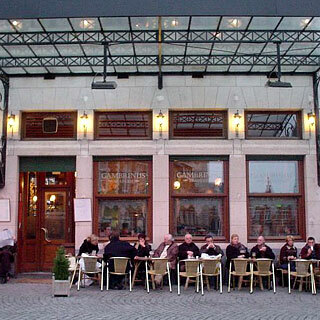 Still, it's an improvement on the formulaic blandness of Cafe Leffe just around the corner. One of the few bars in the lively centre that has the kind of comfy chairs that are good for a relaxed evening's drinking, or an afternoon's reading. It's a shame that the music isn't more mellow during the afternoon, though, and you might be better doing your reading on a back-lit PDA than trying to read a novel in the dark. 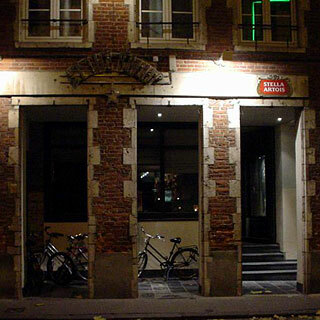 In the end, then, you're better off doing your reading in Orient or Commedia and coming here for drinks in the evening. This is by far the best place in town for breakfast or brunch, with delicious bread and coffee and plenty of good toppings and pastries to go with them. It is a pseudo-rustic chain that I've also seen a copy of in Luxembourg and Bordeaux under the name La Table du Pain. Surprisingly, the guy I spoke to in Het Dagelijks Brood told me that there is no connection between the two chains. Although this cafe is something of a museum-piece, with greying customers to match the old decor, it's actually rather good. The proper old-school service, comfortable bench seats and the general peacefulness are ideal for a long read or a quiet chat. Despite their supposed rarity (assuming that I wasn't making it up earlier on), here's another hip modern cafe right next to Commedia. The atmosphere is different though; more Ikea-with-jazz than Commedia's Habitat-with-lounge. Good for: drinks, lunch, dinner, work-avoidance - everything! This cafe's stylish old fashioned minimalism creates a sense of calm that makes this a great place to relax in the afternoon with a book or newspaper. The decor combines light open spaces with cream-coloured walls, worn wood, brass and light tiles, and a delightful lack of clutter. Like all such cafes, and especially busy ones with good service, there's plenty to watch if you sit at the end of the bar what with the staff rushing in and out. They seem to be a pretty cool bunch at Metropole too. The food is good: simple Italian dishes with oil and fresh herbs in all the right places - our spaghetti, bruschetta and slab of feta was devoured with relish. You may be able to get spaghetti - veggie or bolognese - just about everywhere, but Metropole's is better than the others we've tried. 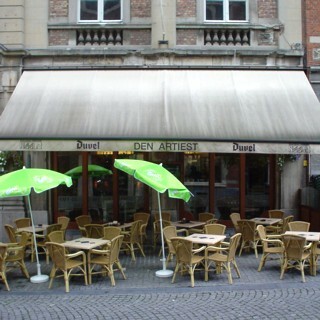 If I actually lived in Leuven then I'd be here at least once a week. Perhaps the menu's biggest star is the coffee verkeerd, served in a big mug with the frothy steamed milk in a jug on the side - a DIY latte for those of us who prefer our coffee less 'wrong' than it is usually served. All in all, there are probably only two reasons to ever go to another cafe: Metropole doesn't have a range of cocktails or the comfy furniture some other places have. Nosh is a very odd place that seems to be a place to get bagels and such for lunch, but is also open for cocktails in the evening. The interior is similarly confused, as though several different people have decorated at the same time, each with a different plan. We can’t decide whether this makes the atmosphere more interesting than the averagely-sterile modern sandwich place, or just awkward. 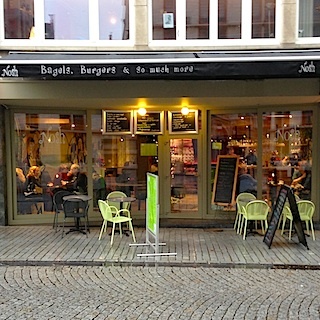 Our bagels were good, although perhaps with one ingredient too many: I had a bagel with cream cheese, Parma ham, rucola… and course-grained mustard. On our visit, it was slightly too early for beer or cocktails, which are also on the menu. Besides, if we want cocktails later we’re more likely to go somewhere that feels at least a little like a cocktail bar. 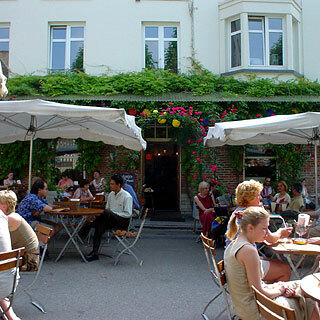 This place has a textbook-perfect terrace: an attractive small leafy square with trees and old buildings, almost no traffic, tables and umbrellas that give a good mix of sun and shade, decent wooden furniture (plastic chairs and tables should be illegal in public!) and good service. The food is interesting - simple healthy stuff. The home-made herb bread sandwiches come in a lunch box, which is cute but soon extremely annoying. The sandwich is too unstable too pick up and eat and its runny dressing lines the tub and gets all over you when you try. Now, I've lived in Holland for long enough not to be completely freaked out by the idea of eating a sandwich with knife and fork, but in this case the sides of the tub get in the way. I knew I should have ordered one of those huge salads instead.